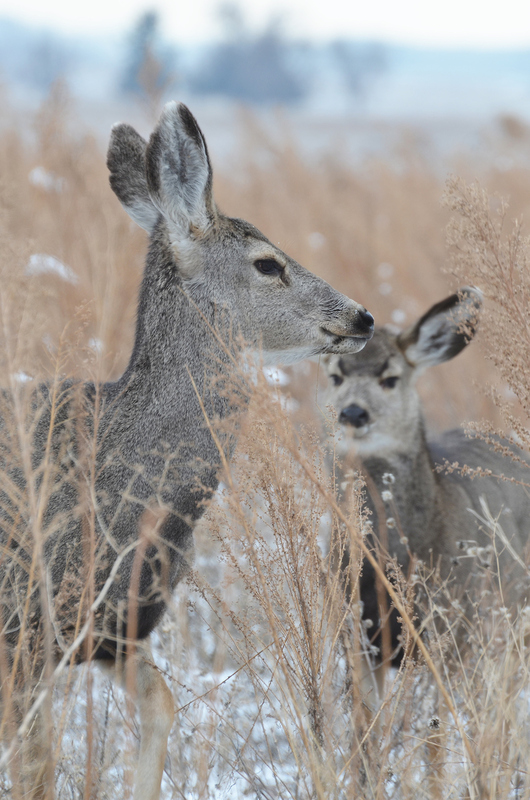 A mule deer doe and yearling. Mule deer are commonly found throughout Colorado's mountains and foothills, and are most active at dawn and dusk. Image courtesy of Colorado Parks & Wildlife, Wayne D. Lewis.